This unusual wall sculpture stands proud from its back board. It appears to be floating in front of it. 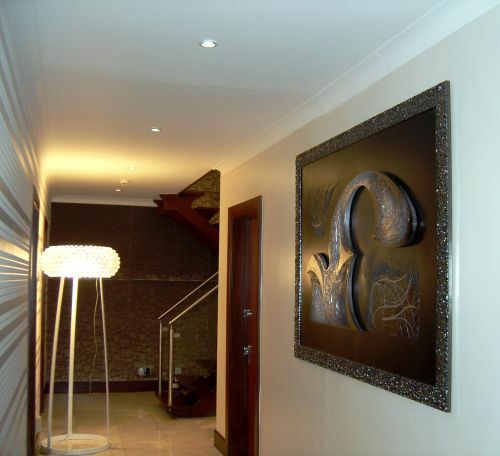 The rich velvety colours, browns, black, silver and a hints of purple blend together beautifully in to a smooth and sumptuous three dimensional texture covering the entire surface of the sculpture and the back board. The back board can be framed in a silver ornate frame to complement the classical feel of the work, but staying modern and thoroughly now. Price below is excluding the frame.